Independence Day is just around the corner, ya’ll! For those of us living in the USA, this weekend will be one of pool parties, barbecuing, and red, white and blue! 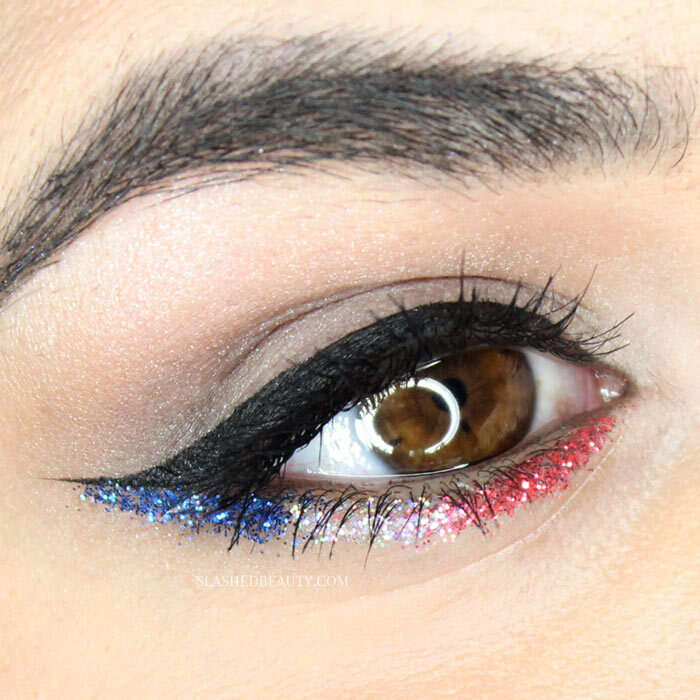 Yep, our flag’s colors are everywhere… so why not embrace it and channel the patriotic spirit into makeup for Fourth of July? 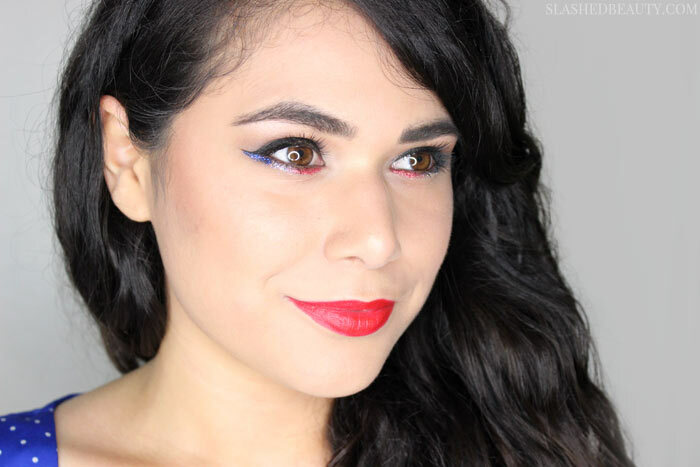 This is a super easy way to spice up a look with some American pride, and add a little holiday spirit to an otherwise neutral every day eye makeup. 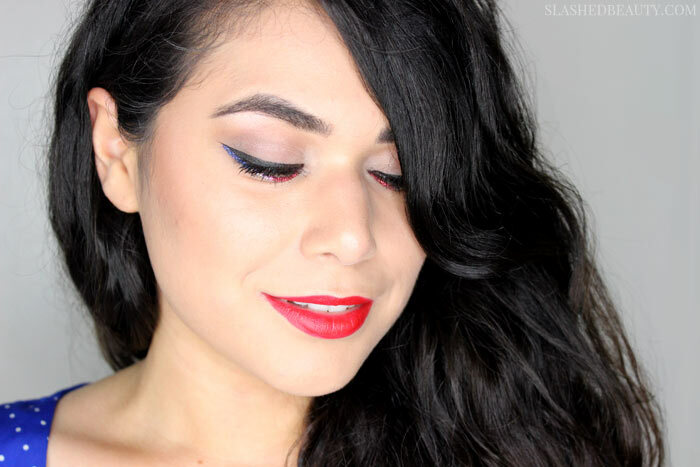 It’s all in the details, from the under-eye glitter to the shameless red lip. I promised you all that I’d do a little more playing around with the City Color Cosmetics Sparkle & Shine Loose Glitters, and I thought this would be the perfect opportunity. The sparkles resemble the sparkling fireworks we’re about to see go down— my favorite part of the holiday! I started out with an incredibly neutral eye using the Jesse’s Girl Back Stage Collection palette in Sounds of the City, blending the taupe shades all over the lid and highlighting under the brow bone with the champagne shimmer shadow. I created this crisp winged eyeliner with the brand’s Liquid Eyeliner, which has quickly become my favorite. I topped my lashes with the Maybelline The Falsies mascara before diving headfirst into the glitter. It’s super important to lay down a tacky product before applying glue, and the City Color Cosmetics Sparkle & Shine Glitter Primer works perfectly to help them stick and apply evenly. 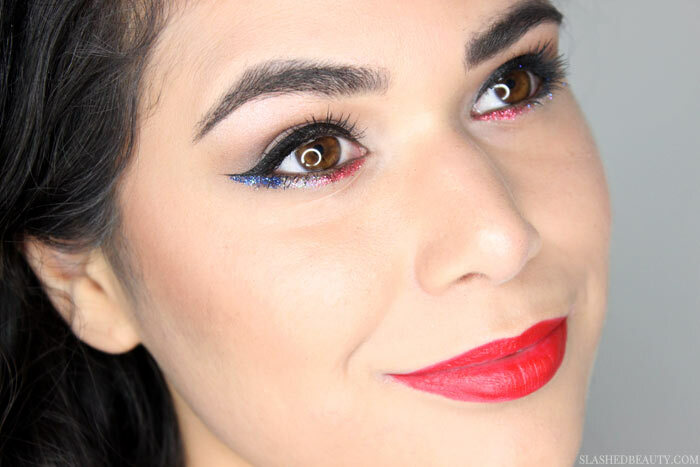 I worked from my inner corner out to the tip of my winged liner, starting with ’Tis the Season (red), moving on to Countdown (white/irridescent) in the middle, and ending very appropriately with ‘Murica (blue). Pulling the face together with my new favorite red lipstick, Katy Kat Matte in Crimson Cat (check out swatches for the whole collection here), you get a look that’s just the right balance of flashy and demure. I kept the brows light since I wanted my eyes and lips to be center stage.